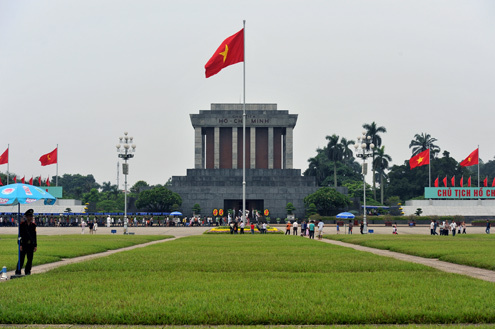 8.00 -8.30 am: Pick up and transfer for visit to Ho Chi Minh Mausoleum. Ho Chi Minh s House on Stilts,The stilt house s design is based on traditional houses from the Vietnamese northwest, The stilt house's design is based on traditional houses from the Vietnamese northwest. One Pillar Pagoda, The One Pillar Pagoda is a historic Buddhist temple in Hanoi, the capital of Vietnam. It is regarded alongside the Perfume Temple, as one of Vietnam's two most iconic temples, built in the 11th century, of wood on a single stone pillar resembling a lotus blossom, symbol of purity, rising out of a sea of sorrow. The Temple of Literature is a former center of learning in Hanoi. It is a temple of Confucius and includes the "Imperial Academy", Vietnam s first national university of Literature, the first university of Vietnam founded in 1070. After lunch, transfer to visit the Museum of Ethnology , Vietnam Museum of Ethnology is both a research centre and a public museum exhibiting the ethnic groups of Vietnam. Located west of the city centre, this museum offer informative and well-documented display on the country’s 54 ethnic groups, include elaborate and colorful hill-tribe costumes, weaving designs, musical instruments, fishing implements, work tools and other functional objects. The display continues on to the garden outside with fascinating examples of minority housing from the King’s to the ones of the ethnic groups in Central Highlands.